Bissonnet Place is an upscale neighborhood located south of Bissonnet Street. With traditional and French-style homes set along tree-shaded streets, Bissonnet Place features a quiet and peaceful enclave within the busy Inner Loop neighborhood. 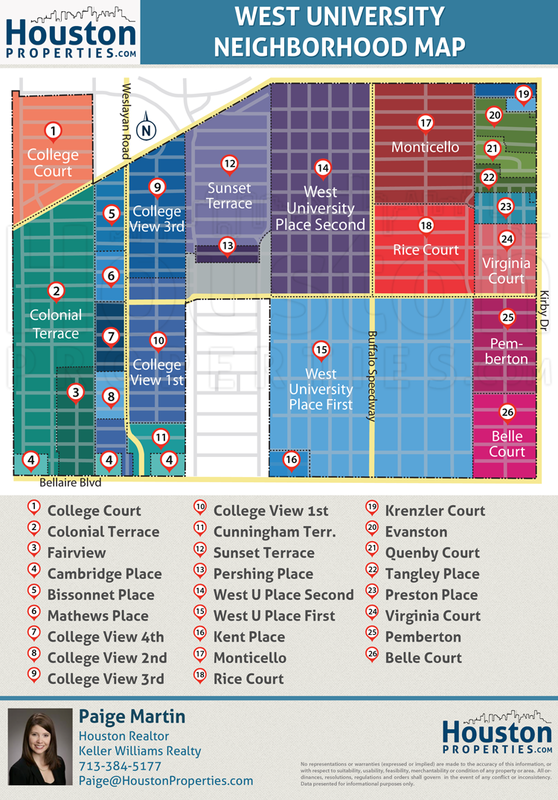 Bissonnet Place homes are nestled within the affluent area of West University, known for its excellent educational facilities and close proximity to the best hotspots of Downtown Houston. Bissonnet Place enjoys quick and easy access to major thoroughfares including that of Buffalo Speedway, Bissonnet Street, Bellaire Boulevard, and Loop 610. The community is also less than 9 miles away from Houston’s main business hubs such as the Galleria, Texas Medical Center, and Westchase District. Bissonnet Place is part of the Houston ISD, and is serviced by the award-winning schools of West University Elementary School, Pershing Middle School, and Lamar High School. Featuring traditional and French-style architectural designs, Bissonnet Place homes are set on spacious 5,000+ square-foot lots. Bissonnet Place offers both old- and new-construction 2-story homes that can accommodate up to four bedrooms. New-construction homes also feature additional high-end amenities including open floor plans with expansive kitchen, hardwood floors throughout, walk-in closets, covered patios and fenced-in backyards. Prices for Bissonnet Place homes for sale start at over $1,000,000. I am interested in Bissonnet Place and would like to get more details. Bissonnet Place is a posh neighborhood located south of Bissonnet Street. Bissonnet Place is part of the Houston Independent School District, and is serviced by the award-winning schools of West University Elementary School, Pershing Middle School, and Lamar High School. Featuring traditional and French-style architectural designs, Bissonnet Place homes are set on spacious 5,250 square-foot lots. Prices for Bissonnet Place homes for sale start at $1,099,900.